Editor's note: A representative for Secretary Ridge announced Thursday the secretary is in critical condition after undergoing an emergency heart procedure in Texas. "The Takeout" podcast team wishes Secretary Ridge a speedy recovery. Our interview with Ridge was recorded on October 31. Tom Ridge, the nation's first secretary of Homeland Security, believes the physical border wall President Donald Trump wants to build on the U.S.-Mexico border isn't necessary. "I don't think we need it," Ridge said. "I think there are things we can do with technology that foregoes the need to build a 3,000 mile border [wall] with a neighbor... I prefer presidents that tear down walls rather than build them." Ridge appeared on "The Takeout" podcast with CBS News chief White House correspondent Major Garrett and political director Steve Chaggaris. Despite his criticism of the president, Ridge, a Republican, praised Mr. Trump's pick to lead the Department of Homeland Security (DHS), Kirstjen Nielsen. "This is a woman that's got public and private sector experience. She's been deputy chief of staff to the president now, she was General [John] Kelly's chief of staff [at DHS], she's well versed and worked with the private sector on preparedness issues and cyber security issues and the like." Nielsen is awaiting a Senate confirmation vote. President George W. Bush nominated Ridge to be DHS secretary after the department was formed in the wake of the 9/11 attacks, nearly 15 years ago. Prior to that, he served two terms as governor of Pennsylvania and six terms in the House of Representatives. "One of the challenges of homeland security is that it's tough to celebrate success when success means nothing happens," Ridge said. As secretary, Ridge oversaw the Federal Emergency Management Agency (FEMA) which has been praised for its handling of recent hurricanes that hit Florida and Texas, but criticized for how it has dealt with the aftermath of Hurricane Maria in Puerto Rico. "I think by and large FEMA's taken some unfair hits over the time," Ridge says, while acknowledging the agency's severe mishandling of Hurricane Katrina in 2005, which hit about six months after he left the department. "I'm telling you right now in three or four months you're going to hear people complaining that the response to these recent hurricanes wasn't quick enough or there's money wasted, but by and large FEMA's done a pretty good job over the years. Now more than ever they've got better coordination," Ridge added. 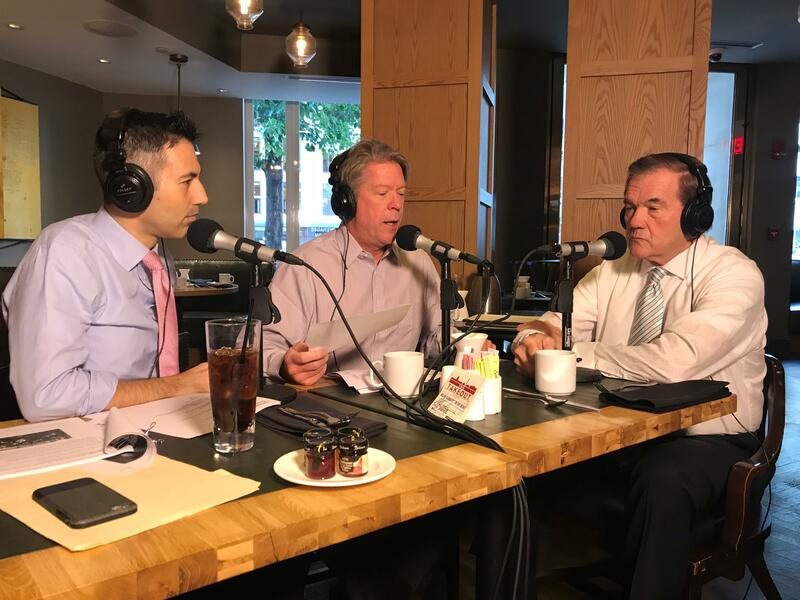 For more from Major and Steve's conversation with Tom Ridge, download "The Takeout" podcast on Apple Podcasts, Google Play, Stitcher, or Spotify. New episodes are available every Fridaymorning.